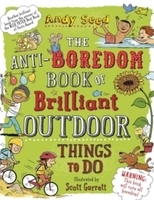 Say goodbye to boredom with this fantastic outdoor boredom buster book! 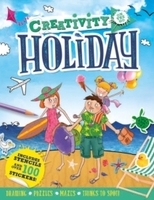 From the hilarious Andy Seed, Winner of the Blue Peter Book Award 2015 for Best Books with Facts comes the fantastically busy Anti-boredom Book of Brilliant Outdoor Things to do. The outdoors are boring right? Wrong! Not when you've got Andy Seed's Anti-boredom Book of Brilliant Outdoor Things to do! Suitable for all seasons, find out how to set bug traps, create a rainbow, construct an amazing summer slide and much, much more! But what about those rainy summer days we hear you cry? Not a problem! 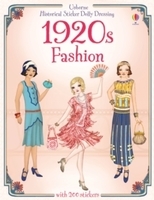 This book also includes awesome indoor activities about the outdoors for rainy days. Design your own mini parachute, create the worlds most amazing frisbee, or create a bird feeder to keep your feathered friends well fed! 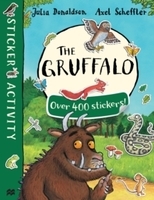 A brilliant book bursting with amazing outdoor activities that will have you running for the door! Packed full of hilarious illustrations from the wonderful Scott Garrett, this book will keep you entertained for hours on end! Andy Seed's laugh-out-loud 'Anti-boredom' series has something for everyone! A seemingly endless car journey to visit your long lost aunty? Andy's got an activity for that!A boring rainy afternoon stuck indoors? Andy's got a joke for that! A dull holiday with no one to play with? Andy's got a game for that! Say goodbye to your boredom blues with Andy Seed's fantastic range of Anti-boredom books!